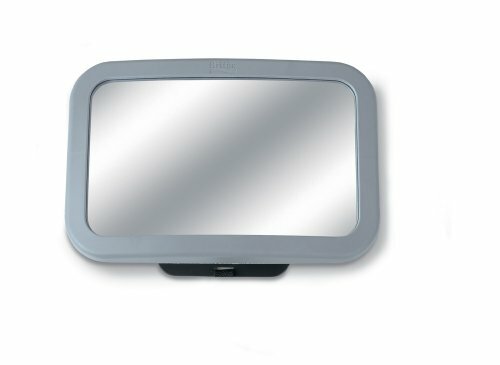 The Britax Back Seat Mirror provides a view of your baby in the rear-facing car seat position at any angle. Easily installed, adjustable straps securely attach to the vehicle headrest. No assembly is required. The extra-large convex pivot mirror reflects a head-to-toe clear view of your child. Designed for safety, this lightweight, shatter-proof mirror has been crash tested to ensure safety in the event of a collision. The mirror has been created with a soft grey frame for a sleek look and feel. Back Seat Mirror dimensions 7.5 x 3 x 11.5 inches. View More In Car Seats & Accessories. If you have any questions about this product by Britax USA, contact us by completing and submitting the form below. If you are looking for a specif part number, please include it with your message. © 2019 - spoilthebaby.com. All Rights Reserved.